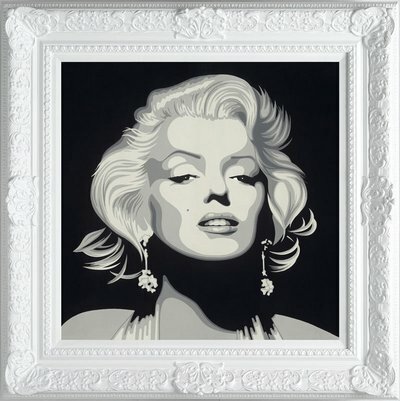 Artist Simon Claridge – Gives Famous Faces A Whole New Look! Simon Claridge knew he wanted to be an artist since he was very young. He claims to be extremely grateful to his college where he developed his artistic skills immeasurably in draftsmanship. When asked what he wanted to do when he grew up he always said he wanted to be an artist! Simon finally left his education with a BA in Fine Art at the University of Reading. From that time, he still wanted nothing else but to become an artist and painted whenever he had the chance. He says that he could not, and still cannot, imagine a life where he would not be an artist. His art quickly became popular with the public, he gained a large fan base, and was published by Washington Green. Claridge claims to love the human form and his art does reflect this. 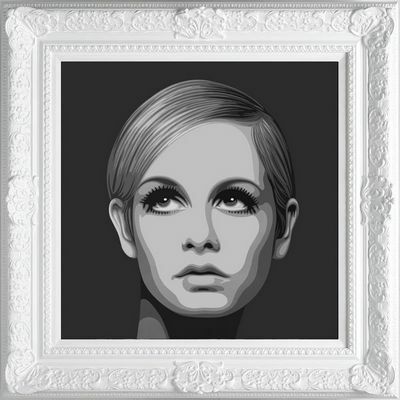 The inspiration for these six pieces are celebrity women, including Twiggy, Kate Moss and Blondie. Simon uses Acrylic paint to achieve his look, topped off with ‘diamond dust’ (also the name of his new collection), which really makes the art look unique. These images of celebrities are not new, but the way he has captured them is very clever; they show you how the modern meets the classic. 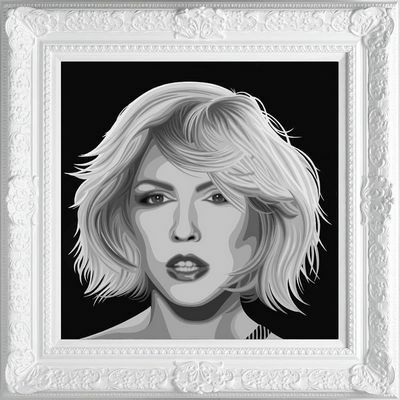 Using old retro style white frames, it gives a classic feel to the art overall. Simon has experimented with different art in the past, always coming up with something new and exciting, but I believe that this new style is going to be his most popular yet. This style could easily be continued with other celebrities, perhaps male celebrities next? and I’ll bet that the celebs are queuing up for the opportunity to be painted in this way. The way he paints his subjects with their classic facial expressions and the innovative use of colour (monotone) makes his pictures completely unique to other current artists. In his new collection, when asked which his favourite piece is, he said that his favourite piece is “Twiggy”. You really need to get yourself to a gallery and see for yourself how great these pictures look, a photo online does not do this fantastic art justice at all. The diamond dust is not visible on the pictures, and you just canâ€™t appreciate all the craftsmanship and thought that has gone into this art without looking at it face to face. I still canâ€™t believe it was painted, not computerized!! !